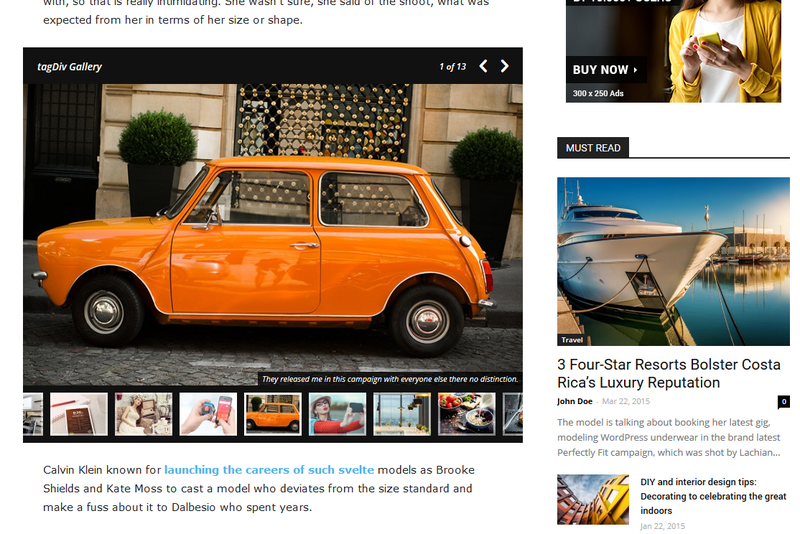 With a unique design and the lightbox feature integrated, this amazing slide gallery was built to enhance your articles’ value. It can accommodate different aspect ratio and each image displays a description and the copyright information. Important: Please make sure you enable the thumbnails used by the tagDiv Slide Gallery. Step 1 – Click Add Media button. Step 2 – From the Media page click the Create Gallery link. 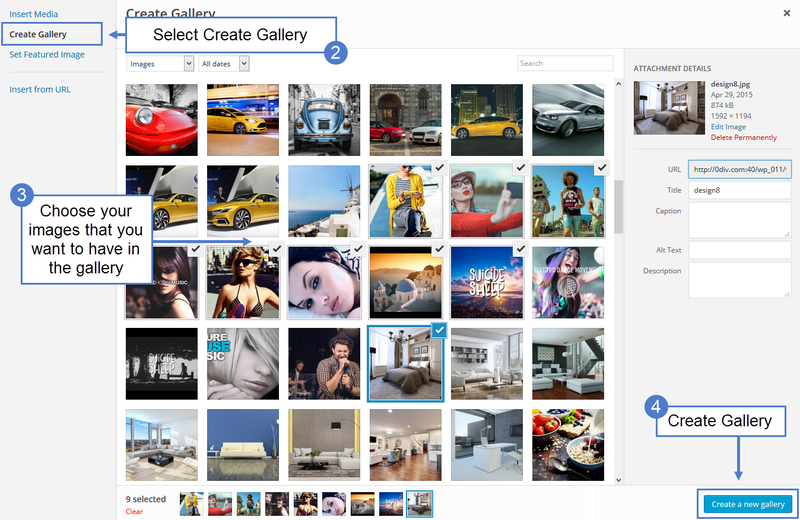 Step 3 – Select the images that will be displayed in this gallery. 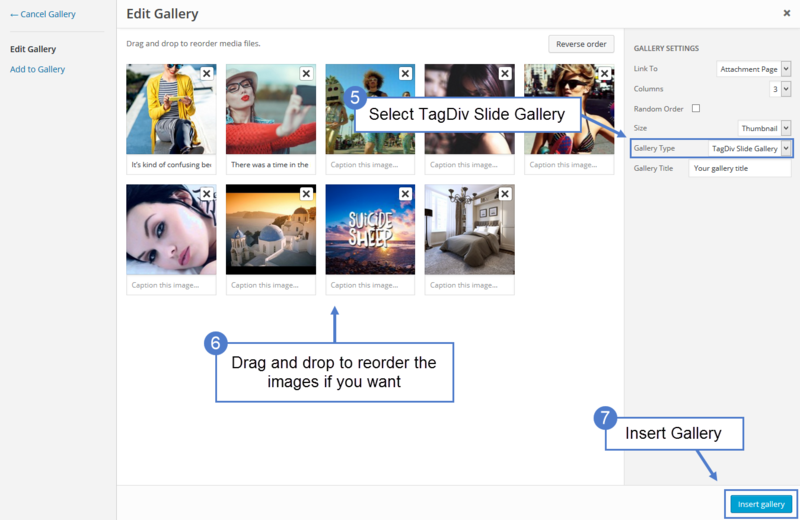 Step 6 – Drag and drop to reorder the images if you want. Step 7 – Press Insert Gallery button. Step 9 – Press Publish/Update button.